This Northern-style Uniform Top which is available in Polyester or Cotton has a very simple design, but elegant with its perfect finish. Customers have the opportunity to buy this elegant product in various color combinations as it will be easier in pairing it up with black cotton/poly pants. 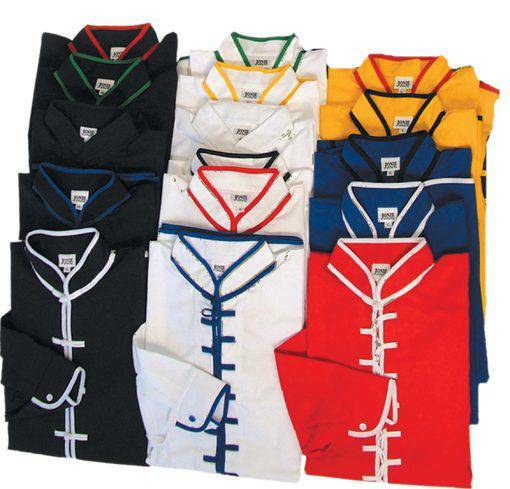 Colors like black, red, white, green blue or gold are available which offers a wide range of selection for you. 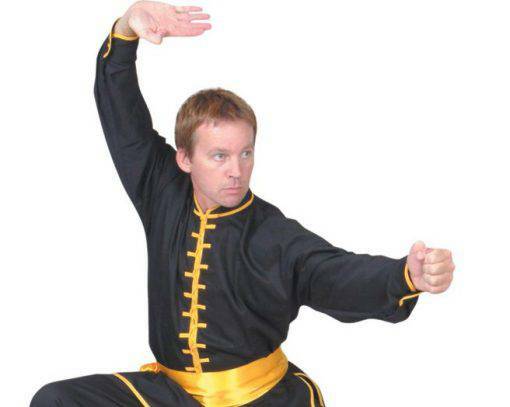 Customers can experience the perfect style of Kung Fu & Tai-Chi Top in Poly/Cotton which can be used in their daily practice that is worth for the price they pay. 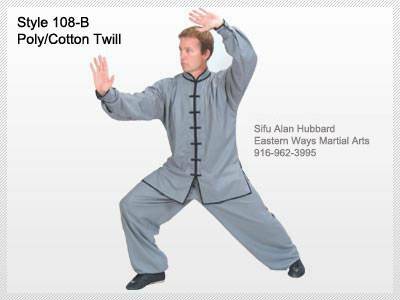 Kung Fu & Tai-Chi Top in Poly/Cotton has interlocking buttons and Trim buttons in variety of colors. 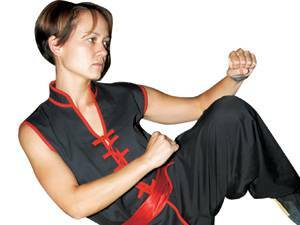 This product which is produced with a superior quality made by seamstress in USA is very comfortable and has a long lasting durability that are some features customers always look into. This is a long sleeve top. 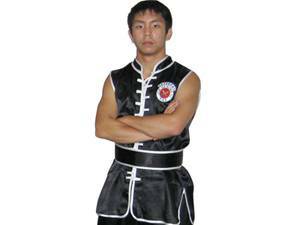 If you are a person who wants to buy best Kung Fu uniforms, this is something that you should definitely try.